As we spoke about previously, loose loan guidelines are heading a boost to sales of new homes nationwide. Combine that with low mortgage rates, builders are optimistic for the future. U.S. homebuilders’ confidence slipped 2 ticks to 54 in May. This held the monthly indicator near its 12-month average, leaving the bellwether indicator within the Bull Market territory. There is an abundance of programs for buyers with less than 20% down, lower mortgage rates than we have seen in a while, hovering below 4%, driving steady foot traffic to home buying. Many mortgage lenders 3 percent rates, with equally low APR, is making this an excellent time to buy a home. Every month, the National Association of Homebuilders (NAHB) surveys its members about the current housing market conditions. In May, homebuilder confidence was strong. 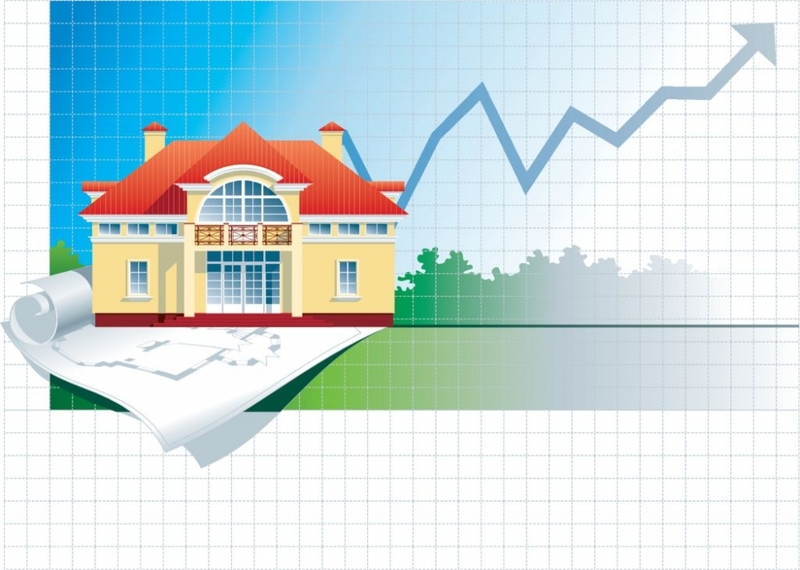 This survey gives a credible look at the future of the housing market. The results are compiled into the Housing Market Index (HMI). This report is often known as the Homebuilder Confidence Survey. The HMI is meant to reflect the current homebuilders’ sentiment for the single-family, new construction housing market. As we said, the index is an excellent look into the future housing market because of the nation’s builders often witness psychological changes on Main Street, long before they’re ever revealed to economists. Looking back at the survey results in June 2005, you would see that the confidence among builders in the U.S. had peaked. This was 18 months before the real estate crash. After reviewing the past few months NAHB and HMI, including May’s, this shows rising builder confidence suggests that the recovery is almost complete. Even with the builder confidence falling two point to 54, this number remains above 50 which is the HMI’s inflection point between “good” and “poor” conditions. Having a 54 point score helped the HMI remain over 50 points for 11 straight months. As the confidence of builders continue to grow, they may be less likely to offer buyers concessions such as price breaks on certain homes, and offering free upgrades for finishes and appliances. With expected prices of homes rising into 2016, buying a newly built home may be more expensive than you expect. The best time to buy a home may be today before these price breaks and offers expire. As we get into the summer months, home sales and prices are predicted to soar. The NAHB Market Index is a composite survey, based off of three distinct questions posed to members of the homebuilder trade group. Each question is tailored to a separate facet of a homebuilder’s business. The results are then used to build the HMI, as spoken about before. The May results showed mixed opinions as compared to the month prior. The current home sales activity was down 2 points from April, for a 59 point total. The predicted Home sales activity for the next six months was up 1 point from the previous month, coming in at a 64. Lastly, the Buyer foot-traffic was down 1 point from April, for a 39 point total. For observers of the housing market, the Buyer foot traffic is claimed to be the most relevant. After reaching a 9-year best last summer, the traffic has been slowly eroding. Even with this score dropping, builders are still planning for a multi-year best sales volume through the second half of this year. If you read the report and point scores, you would expect to see a decrease of foot traffic over the summer, but instead we are expected to see rising numbers for the summer months. Demand for new homes is remaining high, and during times like this, as competition for homes is building, it is more important to remember that home builders have two choices to make. Builders can either raise prices, or keep the same prices and build more homes. This year, it appears builders are deciding to do both. Homebuilders must be careful to not over-supply the market, which caused last decade’s market plummet. Instead, U.S. homebuilders have metered their building of new homes in hopes of meeting, but not exceeding demand from today’s new homebuyers. From a one-year ago comparison, sales are 19%, and average sales prices are up 4%. Buyers are using low rates together with low-downpayment mortgage programs such as the FHA loan and the 3-percent down Conventional 97 to buy homes affordably. Home prices are ticking higher, however. Builders have leverage over buyers. That position is expected to continue through the start of the summer market, at least.